This is a Home Spa prouduct for bathing and indulging yourself. Its selected salt grains content when scrubbing, it effectively exfoliates weathered skin cells without irritation and opens up new ones of brightened, smooth, and radiant look. With Tomato Extract which is rich in LYCOPENE it helps fight free radicals and prevents wrinkles, keeping the skin soft and smooth. 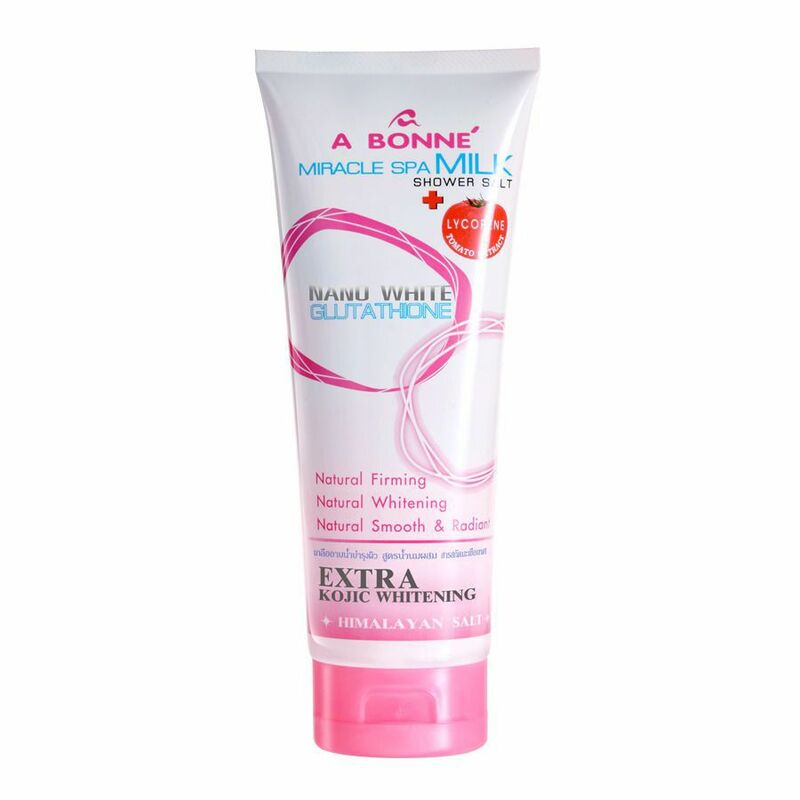 MILK PROTEIN moisturizes skin rendering it irriesistibly soft, smooth and supple. NANOWHITE GLUTATHIONE reduces dark spots and slows down pigmentation; lightens skin tone naturally. KOJIC prevents melanin formation, conditions skin so that freckles and dark spots gradually fade away. TOMATO EXTRACT is rich with LYCOPENE, which fights free radicals, prevents wrinkles, keeping skin soft and smooth. Direction: Squeêz a generous amount and apply onto moist skin. Massage gently in circular motion to remove dead skin cells, then rinse with water.